„a few free standing units“ was developed and built in Bangalore, India. 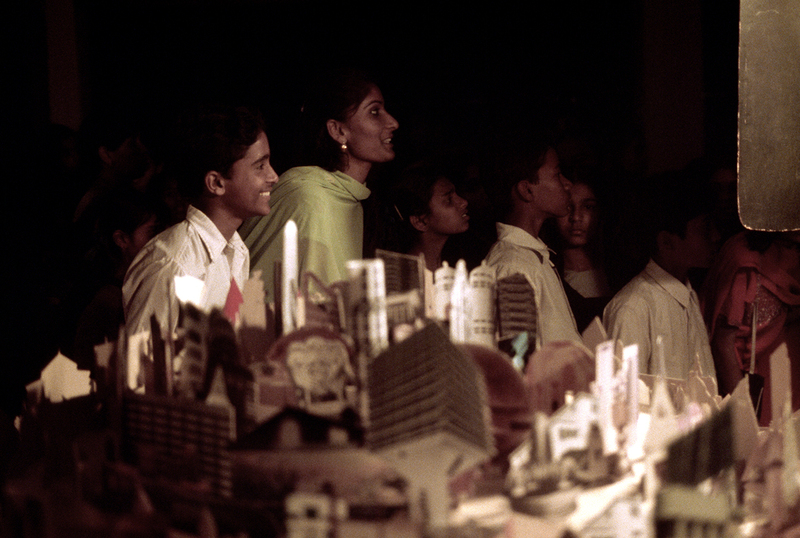 For this video installation the artist duo Dagmar Keller and Martin Wittwer created a „moving collage“ out of contrasting types of architecture in the form of magazine cutouts, photographs they took during their stay in India and photocopies out of books. 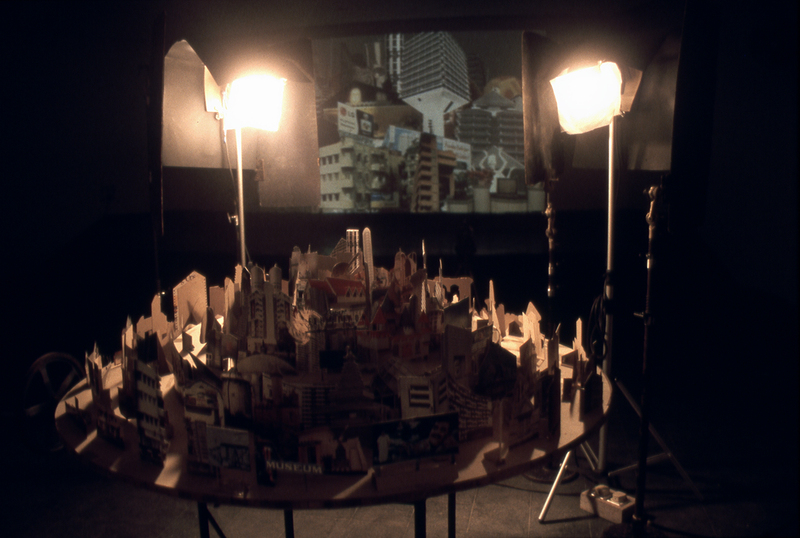 On two tiered tabletops the cutouts form a dense cityscape. 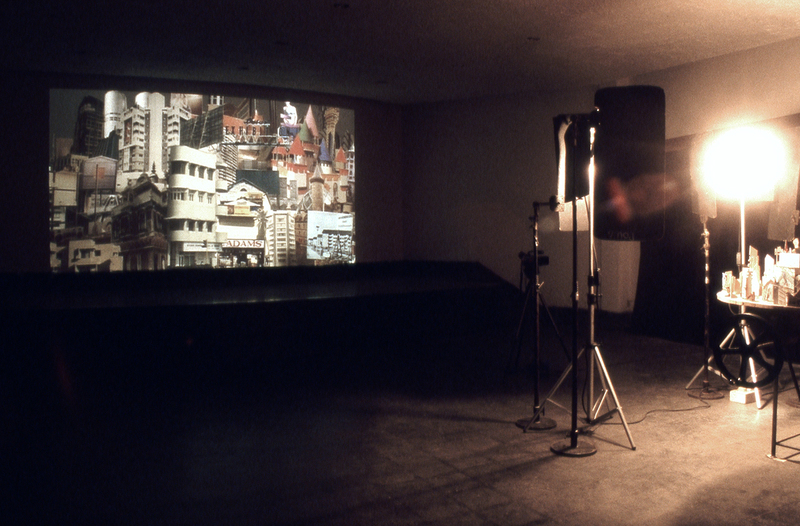 A video camera is pointed at this model and directly connected with a video projector which projects the picture onto the opposite wall. 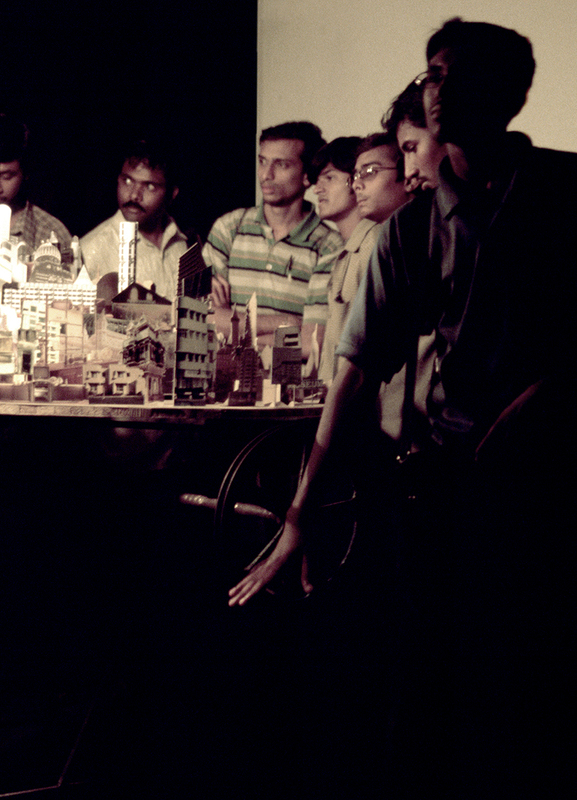 The viewer is asked to turn a crank handle which rotates the tiered tabletops. Like this the projected picture is set in motion.